Things are changing once again here at Echo Lane Farms. Cindy White has started a Western Dressage program here at Echo Lane Farms. 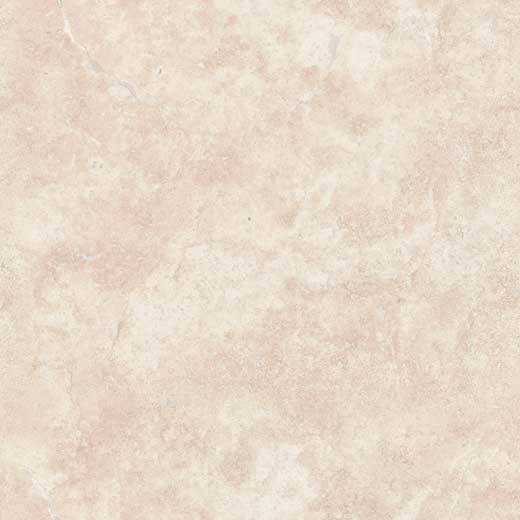 We have many riders who are really enjoying this new and upcoming discipline which features the technical riding skills and tests of classic dressage in Western saddle and attire. There are levels that start with walk trot and you can progress from there. 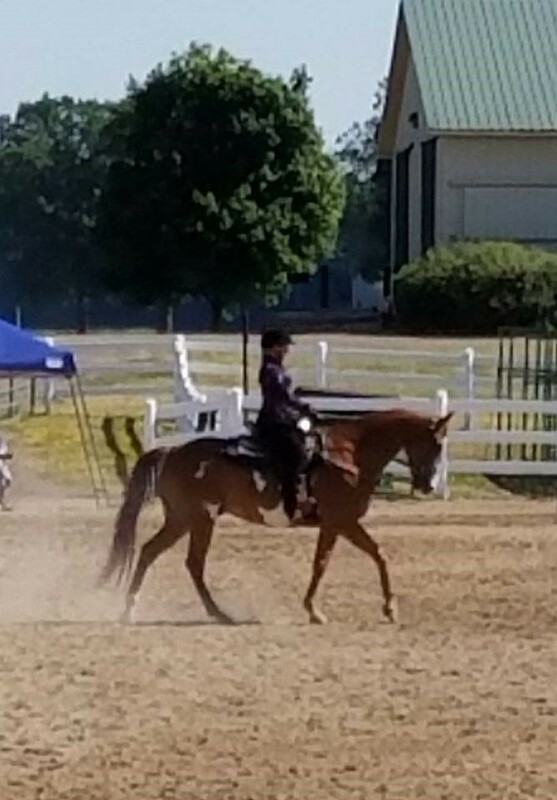 Cindy has over 35 years in training horses and riders in all disciplines and is available at the farm to assist you in meeting your horse related goals. 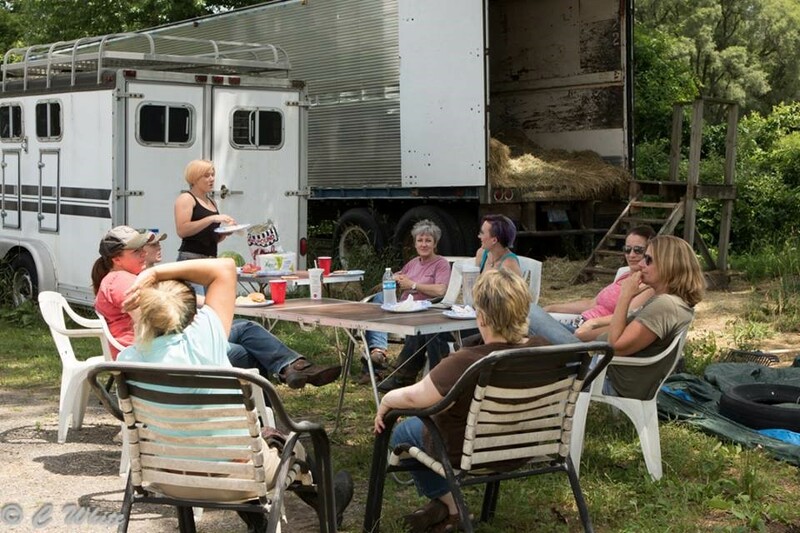 July 10th was Cindy's First Introductory Western Dressage Clinic at Echo Lane Farm. Eight riders took part and a good time was had by all. Morning and Afternoon sessions gave time for visiting over lunch. This new discipline is generating a lot of excitement! 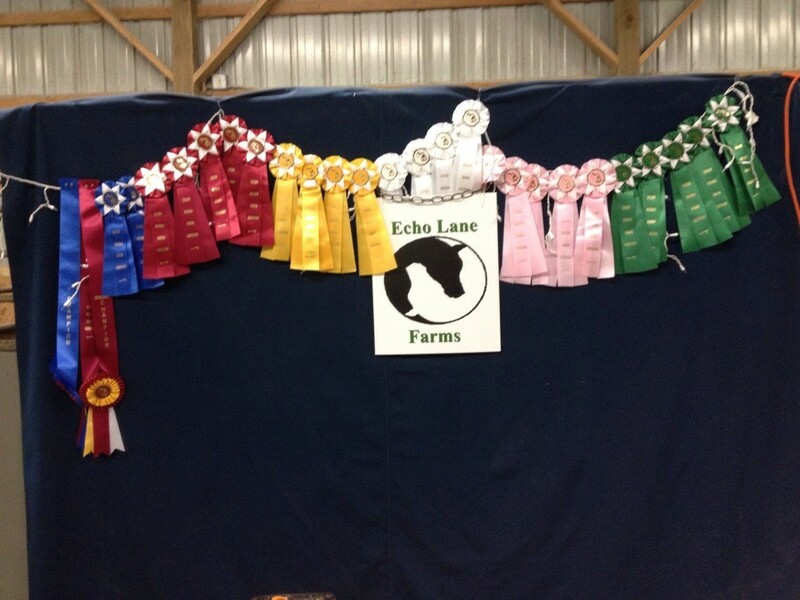 Stay dialed in to other events by liking our facebook page - Echo Lane Farms. 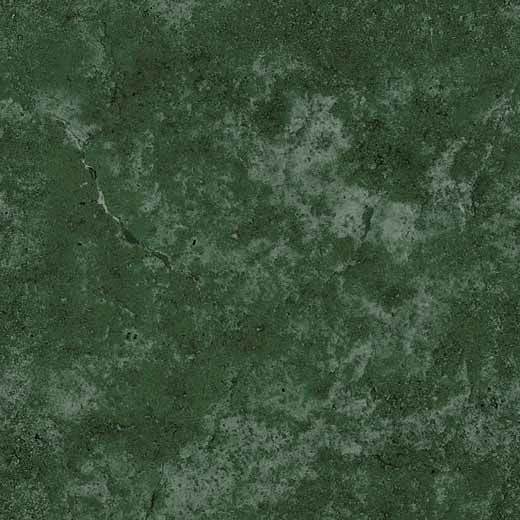 Echo Lane Farms is again showing at EMAA in 2016. 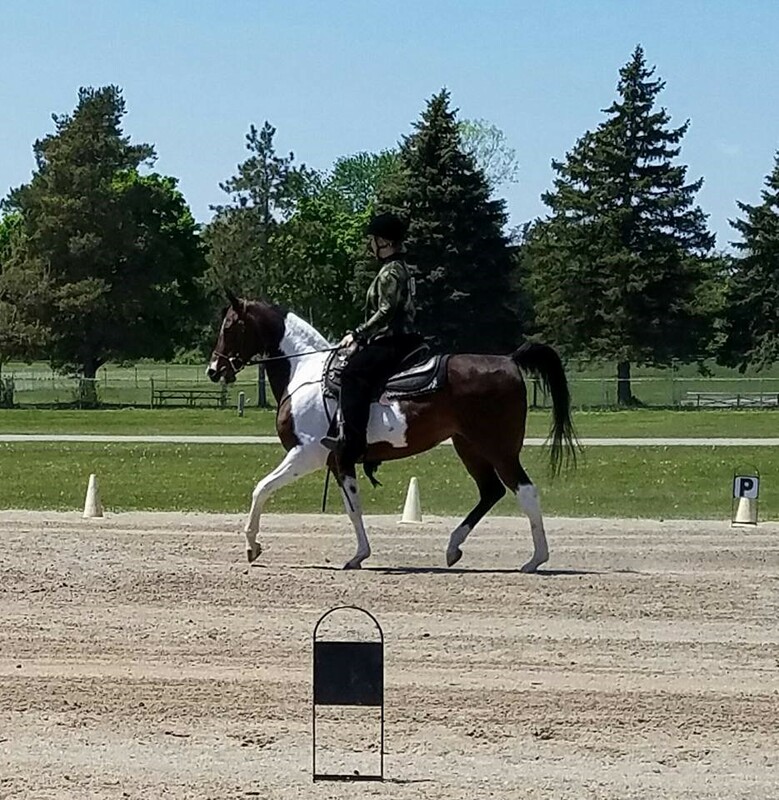 The dressage program at EMAA is growing by leaps and bounds. There are Arabian classes as well as Open Horse classes which allows our clients with other breeds show with us and experience the excitement of Arabian Showing. We have clients showing both in classic dressage as well as the new Western Dressage disciplines. On a sad note, The Selket Herd was in trouble in South Carolina. Arabian Rescue Mission was involved in rehoming the remaining herd after Ron Hevener was convicted of felony animal abuse. The Selket Herd was developed over many years by Jim Andreson who passed away in 2009 utilizing the great stallion ∗Furno Khamal on his personally selected broodmare band. He was a great mentor to this farm as well as a great friend and this farm is based on his lines. In his last note to me he asked that we "hit that home run" for him and we will continue to try to do that by producing quality Arabian horses who can compete in the show ring, produce in the breeding shed and be a family's best friend. A great group of people now have banded together as the Selket Legacy Group to share our successes with these precious bloodlines. Echo Lane Farms is becoming the home for amateurs who want to help other amateurs. We do have some stalls available. If you are looking for a new place for your horse to call home, come check out our friendly, affordable, family atmosphere. If you don't have a horse but have always wanted to learn about horses, come on out. We have had many adult clients, as well as youth, who always had that crazy kid dream of being around horses (and possibly owning one) see that dream realized here at Echo Lane Farms. Don't forget that Echo Lane Farms does rent out its 150 x 60 indoor arena during the winter months for $15/horse & rider. So don't let your show horse get rusty just because the weather gets bad.